New research from Royal Voluntary Service, our charity of the year, reveals that 4.7 million people aged 55 and over plan to volunteer in 2017. And the study shows they want more people to follow suit - nearly two fifths (37%) of 55s and over surveyed say the country needs more volunteers in the wake of health and social care service cutbacks. Royal Voluntary Service is one of the largest volunteer organisations in the country. It has 35,000 volunteers, a large number of which support older people in hospital – from providing practical help and companionship on wards and making a patient’s stay in hospital more comfortable to assisting older people on their return home. Given demand on services is set to grow, Royal Voluntary Service says more needs to be done to promote the benefits of volunteering, particularly to older people. 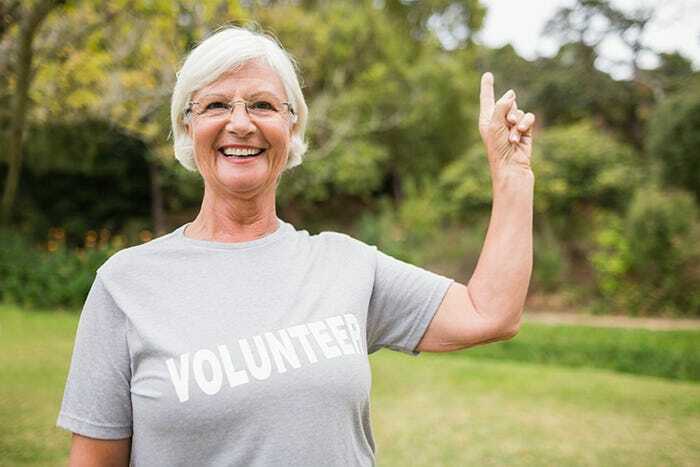 The study goes on to reveal the top three reasons older people want to volunteer: to give something back to the community (56%), to stay mentally and physically active (38%) and to meet more people (31%). To find out more about volunteering for the RVS visit www.royalvoluntaryservice.org.uk.